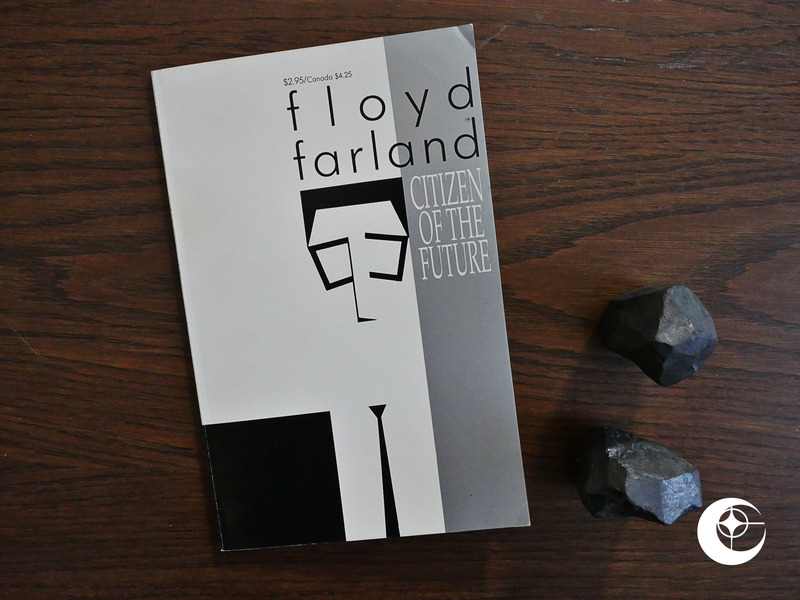 Floyd Farland – Citizen of the Future (1987) by Chris Ware. 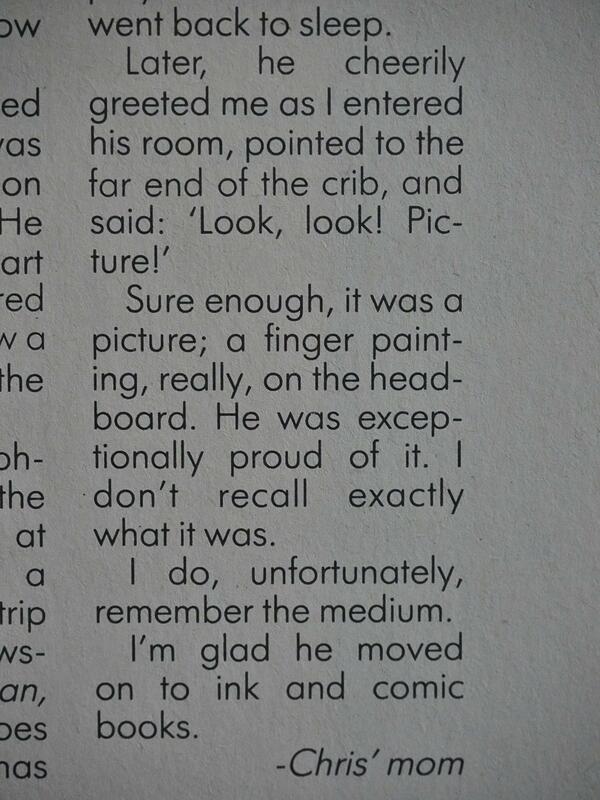 Chris Ware is now among the most-recognised names in comics, but in 1987, he was 19 and in college. 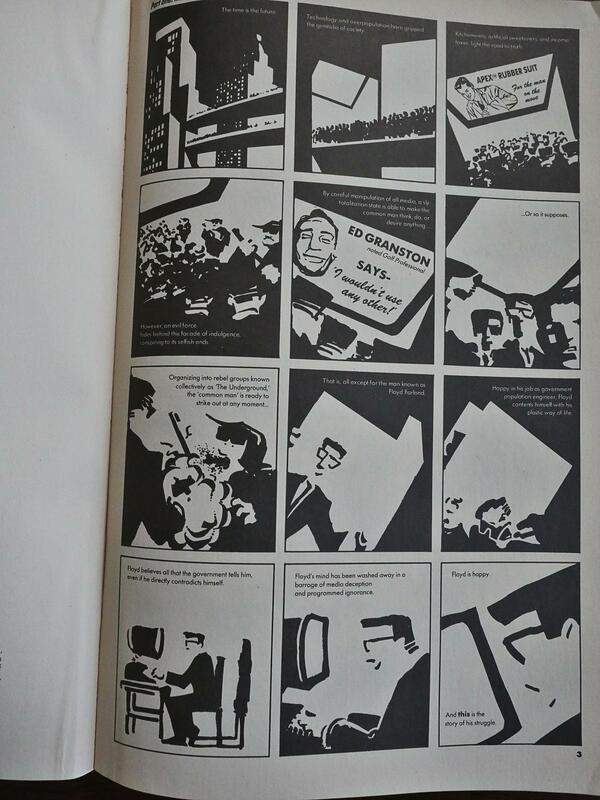 This is a reworked collection of strips that ran in the university newspaper. Eclipse very rarely printed anything in special formats, but this one is squarebound and uses metallic ink on the cover. Ware is notorious for the care he puts into the physical appearance of the books he publishes, so my guess is that he somehow convinced even Eclipse to put in the extra money. It’s been rumoured that Ware himself snaps up copies of the book now so that he can burn them because he’s that embarrassed about it. Which is understandable… and seems to have an unintended side effect, since it now goes for $80 on ebay, apparently. Aaanyway! It’s basically Terry Gilliam’s Brazil drawn in a very stark graphical manner. Set in Futura. It has a humorous callousness that’s typical of a person that age, but I have to say that it’s surprisingly coherent. As it’s been sourced from a weekly newspaper strip, you’d expect the plot to go off the rails as the months pass by, but it’s a pretty tight little package. 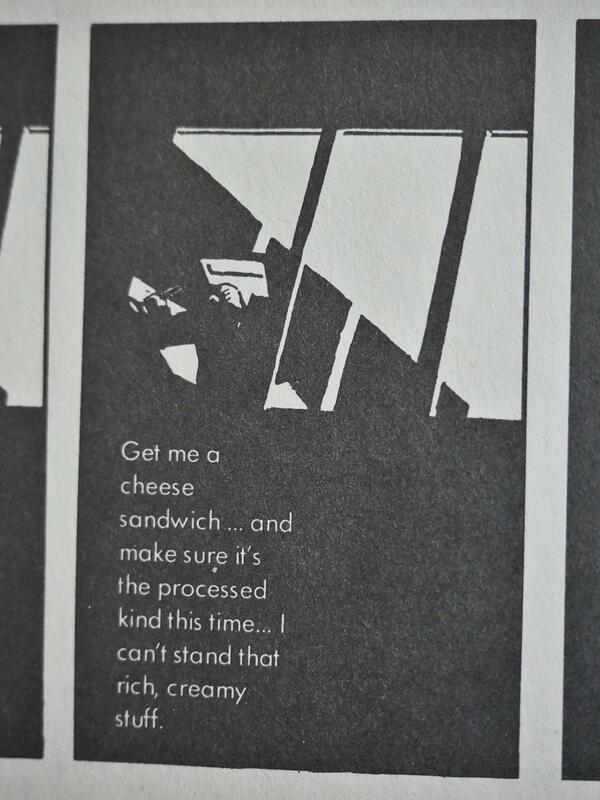 The other objects of his derision, like uncouth people who like processed cheese, induces eyeball rolling in this reader. 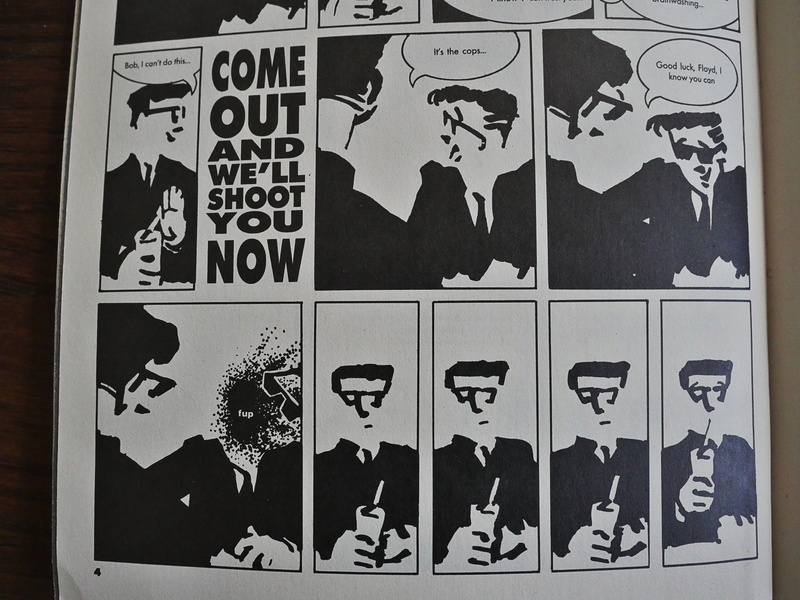 I like how Ware’s having fun with his pared-down stark graphics, sometimes slipping into abstraction. 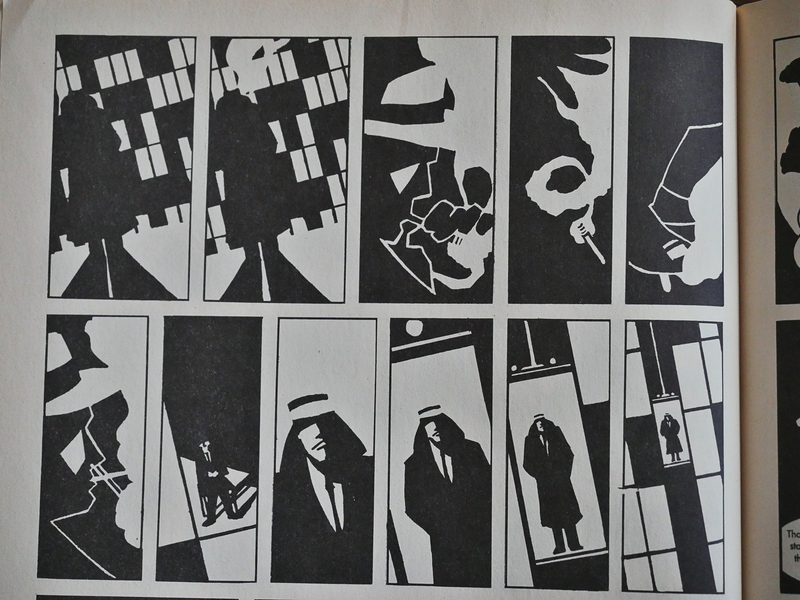 And I wonder how much of an inspiration Mister X (designed by Paul Rivoche and Dean Motter, with comics created by The Hernandez Brothers) was. 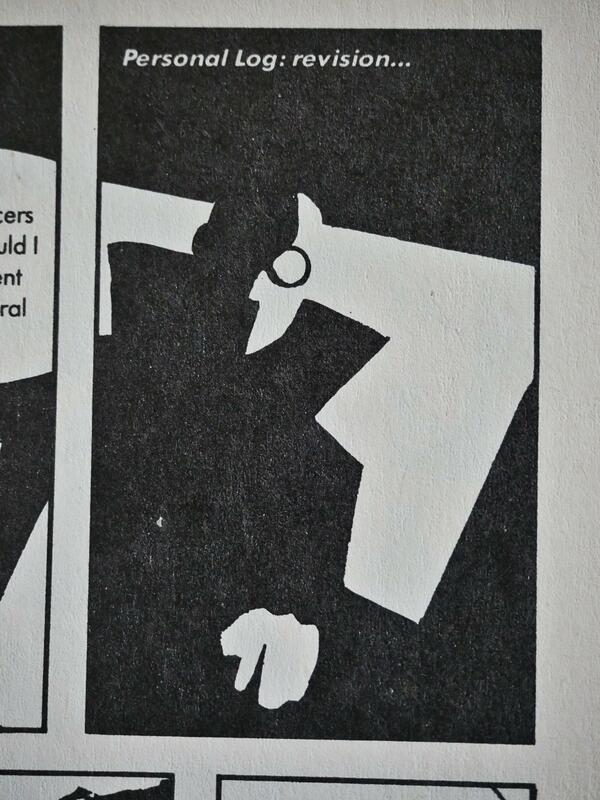 That looks a lot like Mister X, and so does a lot of the city design. Chris’s mother provides an afterword that I’m sure wasn’t embarrassing at all. I can certainly understand why Ware would prefer that this artefact not exist, but I think it’s an enjoyable read. It’s very derivative, yes, but it’s interesting. But what did the critics think? Hm… Oh, I wrote about this on my Ware fan site in the 90s. Hm… I didn’t write anything perceptive back then, either. 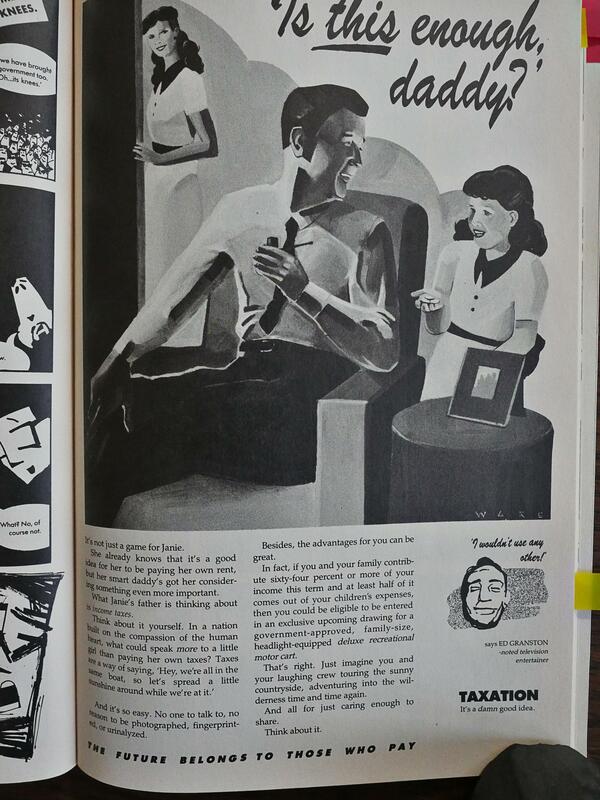 This person things that Floyd Farland is a bad comic by basic comic book standards. Hm… Nope, I’m unable to find anybody that had anything interesting to say about it.